Viking Wars 3 is two players fighting game. 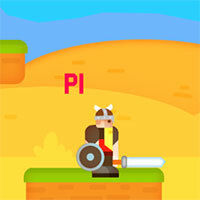 Viking Warrior are finding heroes by confronting each other directly in many rounds. Your main weapon will be a sword, in addition, you can pick up a bow to destroy opponents from afar. Game Viking Wars 3 played 13.289 times.